Remembering these cynical thoughts, California Republicans have a few people to thank this Christmas for maintaining the Unruh status quo: Senators Leland Yee, Ron Calderon, Rod Wright, Ben Hueso, outgoing Senate President pro Tem Darrell Steinberg, and incoming Senate President pro Tem Kevin De Leon. The Senate scandals in 2013 and 2014 were legendary, as was the gross mishandling of the aftermath. You can’t make this stuff up. Scandals remind people of the shady underpinnings of politics, and the temptations lurking around the Capitol that some lawmakers are just incapable of resisting. The difference usually is, when it’s Republicans caught with their hands in the proverbial cookie jar, they are shunned, and forced to leave in shame. Democrats, on the other hand, circle the wagons, pretending its business as usual. The difference between political party ideology is as wide as the Grand Canyon; rather than believing in a higher code of ethics, Democrats believe in self. 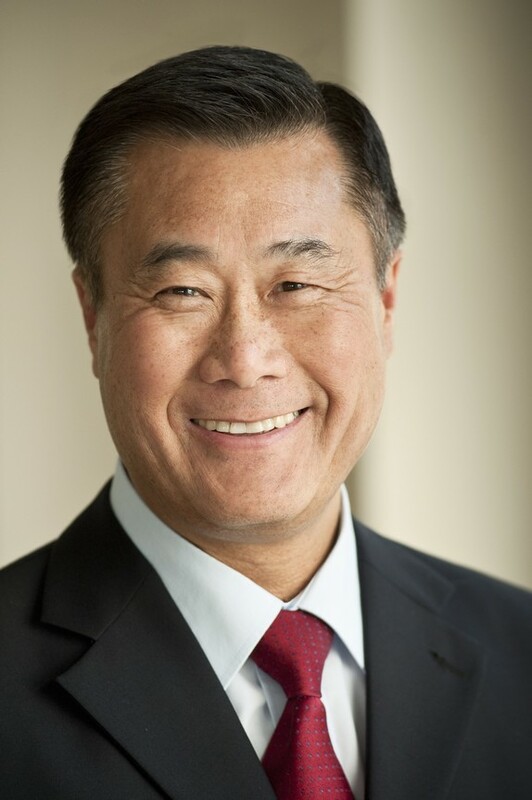 Sen. Leland Yee, D-San Francisco was brought up on federal corruption charges, racketeering, and arms dealing. Known as the “California Senate’s Top Gun Control Advocate,” Yee was indicted by a federal Grand Jury on seven federal felonies including bribery, and arms trafficking in illegal firearms and weapons. Yee wasn’t just trafficking in tiny pearl handle pea shooters – he was indicted for being involved in trafficking shoulder-mounted rocket launchers. In addition to being known as one of California’s leading proponents of gun control, Yee was accused of working with Chinatown gangsters and brokering arms deals with a Muslim rebel group based in the Philippines. The FBI case continues for the anti-gun, and gun control advocate. Sen. Ron Calderon, D-Montebello, was indicted on federal corruption charges in February. According to the FBI indictment, Calderon allegedly solicited and accepted approximately $100,000 in cash bribes, plane trips, gourmet dinners, and trips to golf resorts, in exchange supporting legislation favorable to those who paid the bribes, and opposing legislation that would be harmful to them. The indictment further alleges that Calderon attempted to convince other public officials to support and oppose legislation. Sen. Rod Wright, D-Inglewood, was convicted of perjury and voter fraud in January for lying about his legal residence in Los Angeles County. Ironically, in August, just hours after State Senator Ben Hueso, D-San Diego, voted against California’s burgeoning ride-share industry, he was arrested for driving under the influence. When State legislators get arrested for drunk driving, it is apparent that even the most coddled in government need a free market solution rather than the hassle and expense of calling a cab. Hueso was sentenced to three years of “informal probation,” ordered to participate in a six-week alcohol education program, and fined $240 plus penalties – not exactly a fine for drunk driving the average voter would get. Scandals reflect poorly upon everyone in the Capitol, and make a mockery of the institution. But much of the negative can be quickly forgotten if the aftermath is handled well, and the criminal element is forced out. Sadly, Senate President pro Tem Darrell Steinberg did not do either at the time of the recent scandals. Steinberg showed no leadership. Unfortunately, Steinberg’s lack of leadership has manifested itself in a recent mess – and now, the Senate is broke. I worked in the State Senate for 10 months in 2014. It was an opportunity to work with a prinicpled outgoing Senator, while getting an insiders’ look at how the whole thing operates. As a 20-year Human Resource Executive in my previous professional life, I was responsible for knowing state and federal labor law, as well as managing 250 employees and their managers. I can’t say the same for how the State Senate was run by Steinberg. And I don’t hold out much hope for the new Senate President. With the recent mass firings by new Senate President pro tem Kevin De Leon, he is apparently justified; Steinberg left him with massive debt because he didn’t want to be the guy to do any layoffs or firings, according to many Capitol insiders. That’s the opposite of leadership. Being in charge isn’t easy, and it usually isn’t much fun. But for the survival and good of the entire body, Steinberg should have had the backbone to make the decisions needed to keep the Senate in budget and on solid human resource footing – for the good of everyone, as well as the institution. It appears Steinberg didn’t manage money or staff well. Following an anonymous letter sent to several California state senators with concerns about personnel practices and allegations of nepotism, the State Senate exploded in scandal in Spring 2014. The Senate Human Resources department was accused of gross nepotism with claims that friends and family of key administrators got special access to taxpayer-funded jobs. “Court records showed one of the Senate’s in-house law-enforcement officers had cocaine and marijuana in his system the night he was involved in a fatal off-duty shooting outside his Greenhaven-area home,” the Sacramento Bee reported. “The officer is the son of the Senate’s longtime head of human resources. Gerardo Lopez worked for the Senate for 15 years despite brushes with the law that include a citation for petty theft and charges of drunken driving. Dina Hidalgo, as head of human resources for the Senate played a major role in hiring friends and relatives – upwards of more than 40. Her immediate supervisor, Greg Schmidt, the Senate’s top administrator, had his own nepotism issues: • Schmidt’s son Jeffrey has worked for the Senate since February 2010, during which time his salary increased nearly 63 percent as he changed jobs. • Schmidt’s nephew Kevin worked for the Senate for three years and now works for Lt. Gov. Gavin Newsom, the Bee reported. 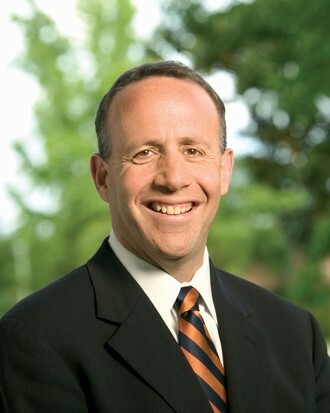 It is said that Steinberg wants another elected office. He has a committee opened for Lt. Governor, and has expressed interest in being Sacramento’s District Attorney as well as Mayor. However, if he can’t manage the State Senate budget or the personnel, imagine the disaster Steinberg would leave the City of Sacramento or as Sacramento County’s District Attorney. The Senate spent $98,000 of taxpayer money to pay a private law firm to investigate this nepotism scandal. And under Steinberg’s direction, the Senate refused to release the final report of how Hildalgo and other Senate employees abused their positions of authority “to hire, protect and coddle friends and family,” the Bee said. Steinberg apparently “warned” Yee to resign or face suspension by his colleagues, saying “he cannot come back.” But Yee held firm. All three Senators continue to be paid during their suspensions. Sen. Ron Calderon, D-Montbello, wanted to lead the caucus, according to and FBI affidavit. So de Leon hammered out a deal between the Montebello Democrat and the caucus’ current leader, Sen. Ricardo Lara, D-Huntington Park, the documents state, the Los Angeles Daily News reported. Under the pact, Sen. Ricardo Lara would remain chairman, Calderon would drop his bid for the seat, and the caucus would give $25,000 to Californians for Diversity, the nonprofit controlled by Thomas Calderon. Calderon asked an undercover FBI agent to make a political contribution at a Las Vegas fundraiser for de León as a reward for de León’s amendment of one of three legislative bills that the senator eventually dropped because he did not get any monetary “help” for his initial work. 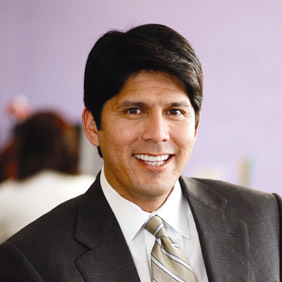 The 125-page FBI affidavit posted online by Al Jazeera America, had Sen. Kevin de León’s name listed more than 40 times—“in two of three stings that federal undercover investigators launched against state Sen. Ron Calderon, a longtime friend of de León whose Sacramento office was raided by FBI agents in June as part of an investigation into his finances,” the Highland Park Patch reported. Tape-recorded conversations with Calderon and other evidence resulted in the FBI accusing the senator of accepting a total of $88,000 in bribes from an undercover FBI agent posing as film studio owner and Long Beach hospital executive Michael Drobot. In exchange for Calderon’s cooperation, the FBI affidavit alleges, de León arranged for $25,000 from the Latin caucus’s accounts to be given to Californians For Diversity, a consultancy firm owned by Calderon’s brother and former state senator Tom Calderon. In addition, according to the affidavit, Ron Calderon told an undercover FBI agent that de León told him he would offer him a paid appointment after he left the senate, the Patch reported. According to the Sacramento Bee, campaign finance records show that a fundraising committee aligned with the Latino caucus gave Californians for Diversity $25,000 on Jan. 2, a month after (Ricardo) Lara was elected to remain chairman. This entry was posted on Monday, December 22nd, 2014 at 10:48 pm and is filed under Blog Posts.